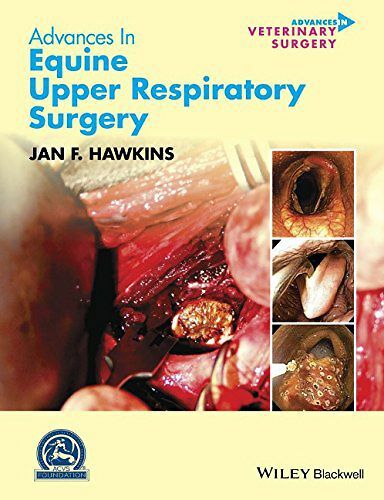 Advances in Equine Upper Respiratory Surgery is a comprehensive, up-to-date reference on surgical techniques in the upper respiratory tract in the horse, presenting theory and background as well as detailed procedures information. Part of the Advances in Veterinary Surgery series copublished with the ACVS Foundation, the book covers the most common upper respiratory diseases, with in-depth information on laryngeal hemiplegia and dorsal displacement of the soft palate. Providing a complete resource, the book reflects the current state of the art, offering a significant update on disorders of the nasal septum, nasal passage, paranasal sinuses, hard and soft palate, epiglottis, arytenoids, guttural pouch, and trachea in the horse. The book includes 200 images illustrating key points of each surgical procedure. Potential complications and expectation management are discussed alongside the technique information. Advances in Equine Upper Respiratory Surgery is a useful reference for those in clinical practice and surgical residents.